In every country, a surgery, trauma, complications in pregnancy, a victim of a road traffic accident or an unforeseen injury requires immediate care through blood transfusions. 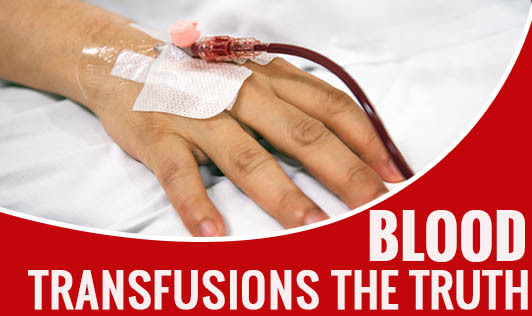 Here are some of the facts that one should know about blood transfusions. A blood transfusion is a process that involves taking blood from one person (the donor) and giving it to someone else who needs it. Transfusions are done when people are in life-threatening medical problems. Usually, in a transfusion, a person gets whole blood, i.e., blood that contains all its components that include plasma, red blood cells, white blood cells and platelets. Each of these components have different functions to carry out in our blood. • Plasma is a yellowish, watery liquid that holds red blood cells, white blood cells, and platelets. • Red blood cells pick up oxygen from lungs and then move it to the heart so that oxygen is pumped all over the body. • White blood cells fight off foreign bodies that could make the body sick. • Platelets are cells that seal your wound and stop you from bleeding. What can be done to reduce my child's need for blood before an operation? • Encourage your child to have a well balanced diet. • Keep a check on your child's iron levels which is very essential, and start supplements if necessary. Can I donate my blood to my child? It is usually discouraged as the risk of transfusion reactions is extremely high. How will my child feel during a transfusion? Most children don't find a difference, but some may develop a slight fever, rashes or chills. Some children, who are very sensitive, may have a mild reaction or allergy which can be easily treated with proper medication. How do I ensure that the transfusion is safe for my child? Almost always yes. Thanks to the advances in technology and the more careful handling by medical experts, transfusions are much safer these days, but are not completely risk free. Your doctor will explain to you how they have weighed up the risks and benefits of the transfusion for your child's case before any transfusion procedure. The most avoidable risk of a transfusion is to be given blood of a wrong blood group. It is important that your child wears an identification band so that there is no confusion with the type of blood that needs to be used. Do not hesitate to ask the staff if you can check your child's details, i.e., full name, date of birth, on the tube and all the other paper work before the transfusion takes place as that can determine the health of your child.